New possibilities we can enjoy of the new version 1.8 of Minecraft. There are several mods, maps and textures that are being updated and now it’s the turn of Mansion Adventure 1.9. The map is based on a return to Eronev, your city, after a period out of town. Returning you can’t believe what your eyes see: the people of the city have disappeared, only you can know what happened. 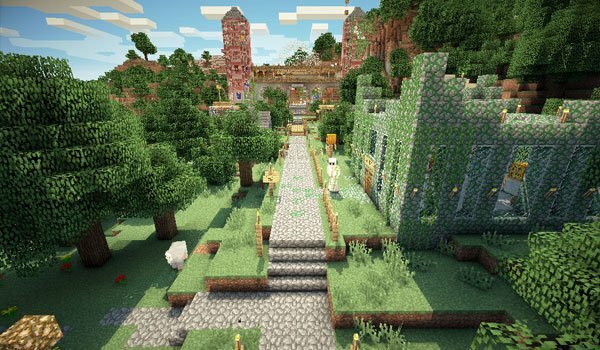 How to install Mansion Adventure Map for Minecraft 1.9? Paste the download file into: “saves”. Discover why people disappeared from Eronev!